Real estate is the number one investment of choice among the alternative assets available to Entrust’s self-directed IRA clients. Their investment choices form the foundation of our Real Estate Investor Market Research Report. It also includes a wealth of information from Entrust databases, national statistics from the National Association of Realtors and Zillow Research, an online leading real estate and rental marketplace. 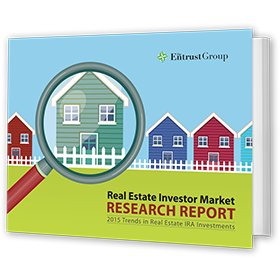 The report, complete with 2015 trends based on Entrust databases, provides insights into the art and science of real estate investment using IRAs. It details where Entrust clients bought properties, the type of properties they bought, how much they paid and much more. The report is free to download and is written to appeal to investors of all types and ages, as well as real estate brokers and retirement professionals. You’ll find charts and maps that detail which regions and states are the most popular among Entrust clients. (Hint: Think west of the Rockies.) 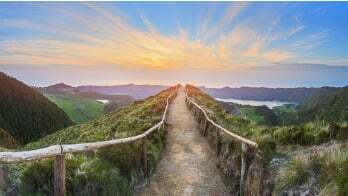 You’ll also learn about the types of IRA most often used to make the purchases, and how the specific characteristics of a Roth or Traditional IRA may influence a buyer’s choice. This Entrust-specific information is put in a larger context of national real estate trends: typical profiles of byers and sellers, how the boom in the rental market is fueling the investment market, and what motivates buyers to invest in real estate in the first place. The report has something for everyone. Experienced real estate investors can track their investment strategies against other Entrust clients. People considering real estate investments for the first time using an IRA can see how others have benefited from the strategy. Real estate and retirement professionals can use the report to spur conversations with clients or put it to good use in planning for their own retirements. Our annual Real Estate Investor Market Research report is another example of Entrust’s commitment to educate clients and the professional community, empowering them to control their own retirement saving choices. It is just one of the many resources available on our Learning Center, your source for reliable, objective information on retirement investments. Please click on the image below to get your free report!